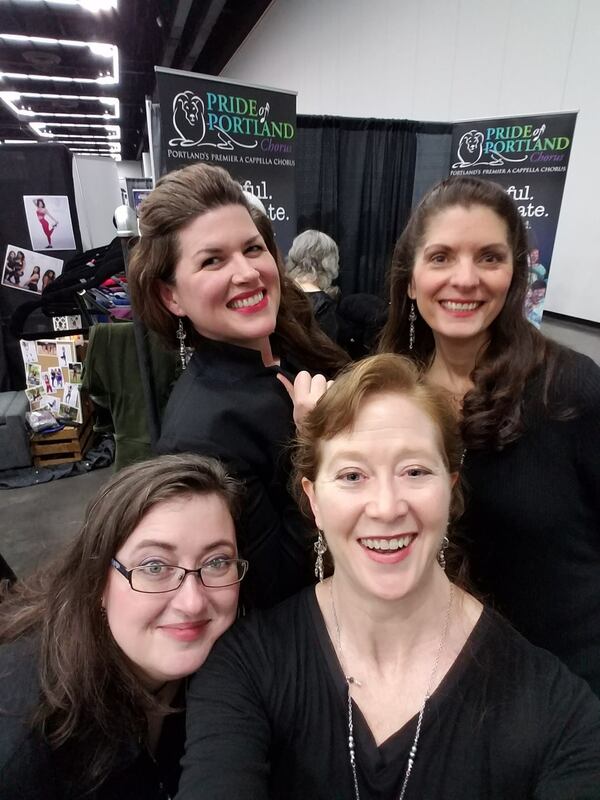 For the fourth year in a row, Pride of Portland Chorus was invited to take part in the annual Portland Women’s Expo, Saturday, March 2nd, 2019. The ensemble opened the event with the national anthem followed by two other songs from our vast repertoire. Pride members also had a booth which featured one of our quartets, Happenstance (pictured, left). Guests enjoyed music from a variety of genres and were encouraged to learn and sing a ‘tag’ (the end of a song). This year, our own Judy Beckman was invited to MC the event. Several guests expressed an interest in visiting a rehearsal. Guests and new members are always welcome! It was a great showing by the chorus and a wonderful turnout for the event. We look forward to next year.